Blog Quick Quotes: December Club Q Re-Do with Barb! December Club Q Re-Do with Barb! Hello everyone! Barb here! 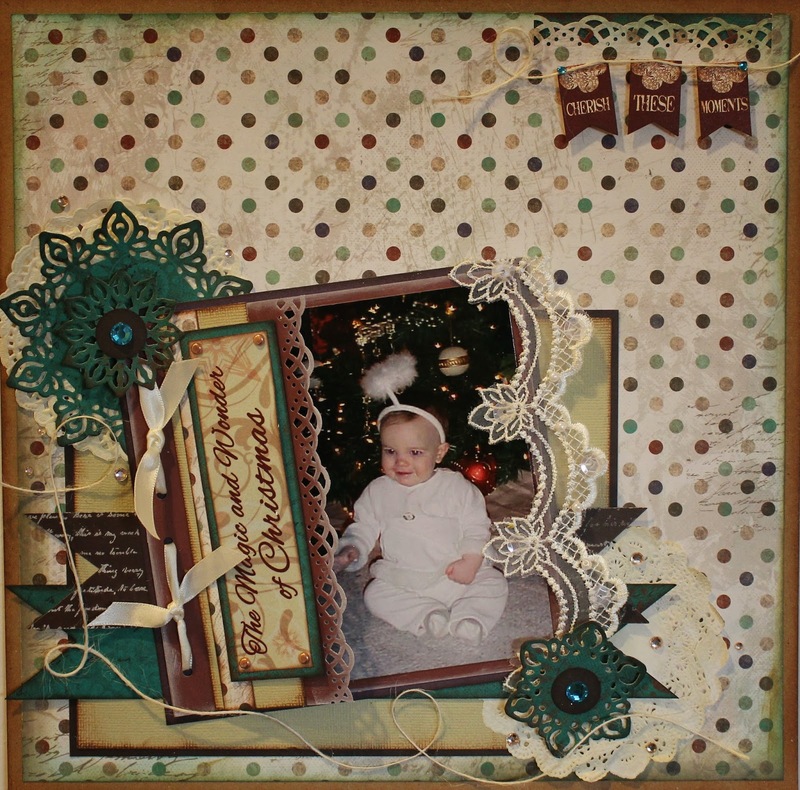 I get to share a few projects that I made with the December Club Q kit. I have to tell you, I am lovin' the colors!!! 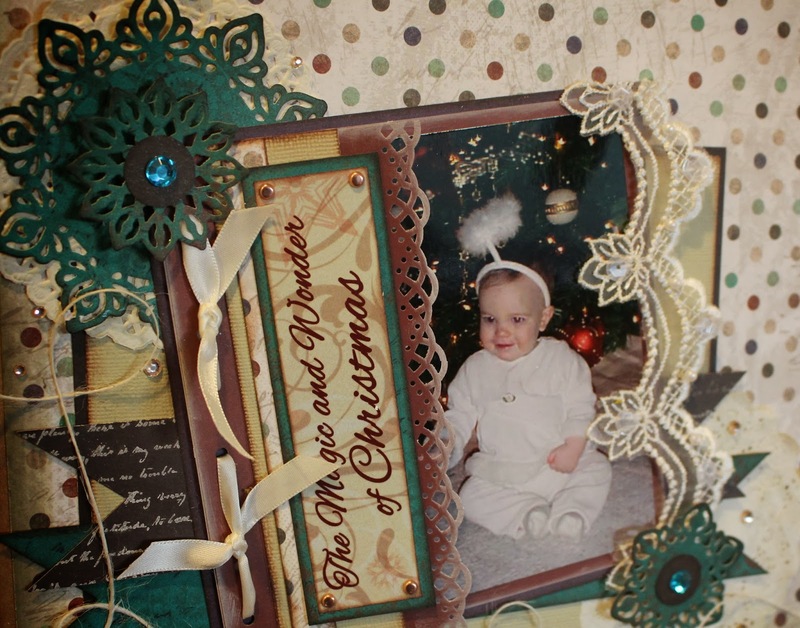 It was fun to make some Christmas layouts with some non-traditional Christmas colors! I also love that everything I need to make these projects come in the kit. I don't have to go searching for other supplies! The only thing I grabbed was my PowderPuff Chalking Ink! The mat for the photo along with the flap in front were taken from the layout kit where they laced the two photo mats together side by side. 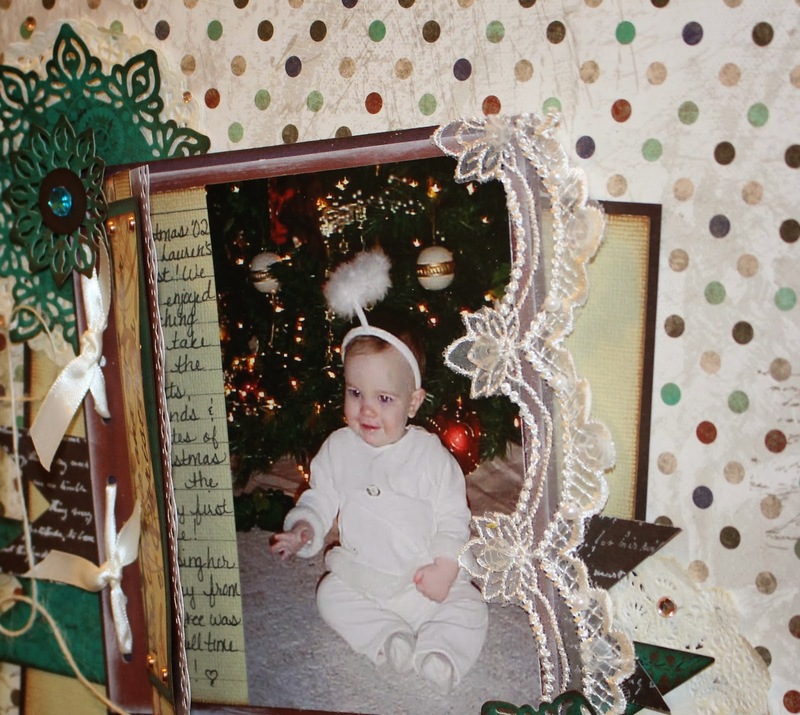 I decided to use a decorative punch on the one side and use ribbon to attach them together for the flap. The vellum quote is from the kit as well. I am not a big fan of my handwriting so I like to hide my journaling. I think it is important to include the stories that go with the photos, I just don't necessarily want that to be the focus of my layouts. I used the flap as a way of concealing my journaling. These darling little stickers are also included in the kit. I used some PowderPuff chalking ink in Java around the edges and then used foam adhesive to lift them off the page. I also made a few Christmas cards! 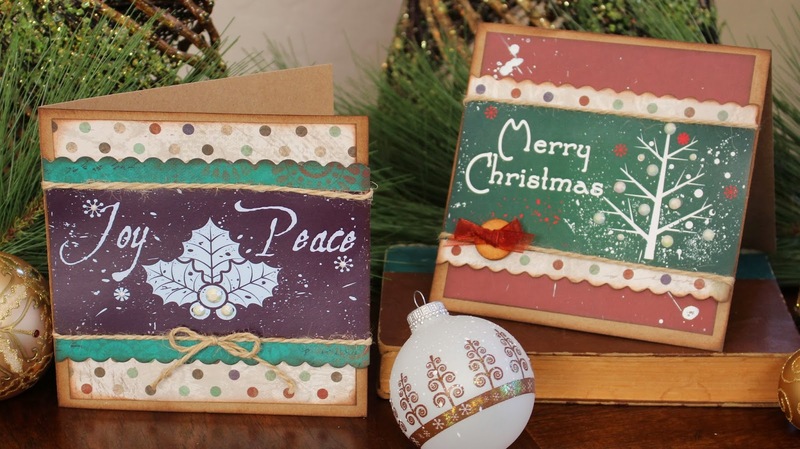 These were super quick and easy to make and are some of my favorite cards I made this year! The middle part of the cards were actually for a wall hanging that came in the kit. I thought it was perfect for Christmas cards! I am always amazed at how many products come in the Club Q kits! 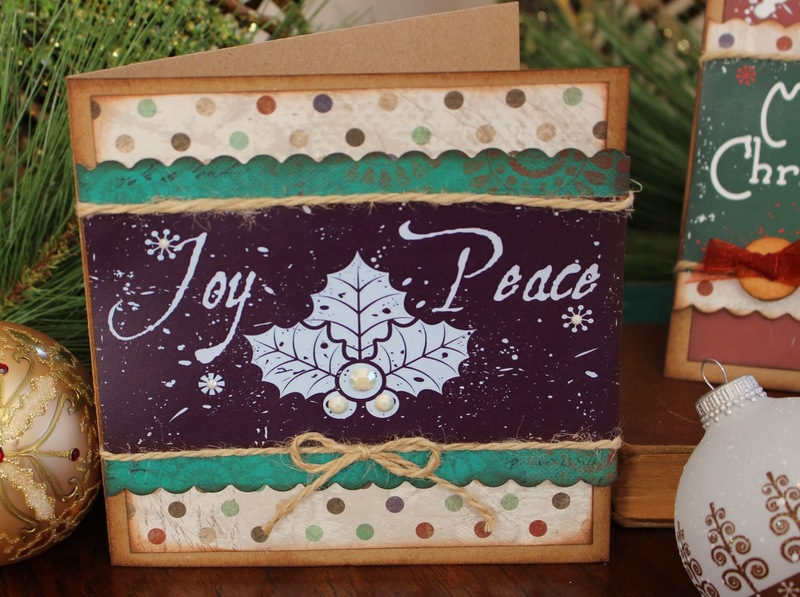 They are packed with beautiful papers and embellishments and they even include instructions! They make creating beautiful things very easy! Thanks so much for stopping on over today for a little inspiration! Really like your hidden journaling. Gorgeous work Barb! I love how you mixed up the kit and that stunning trim and photo too!!! Everything is so pretty! 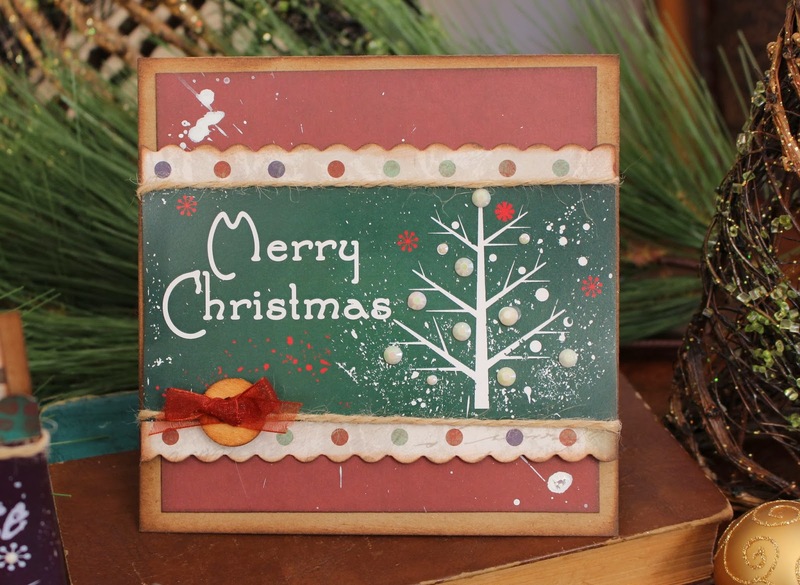 The cards are great holiday cards!